Fifteen years ago, when I became an educational technologist in an independent school, I attended the NEIT conference at The Mohonk Mountain House. 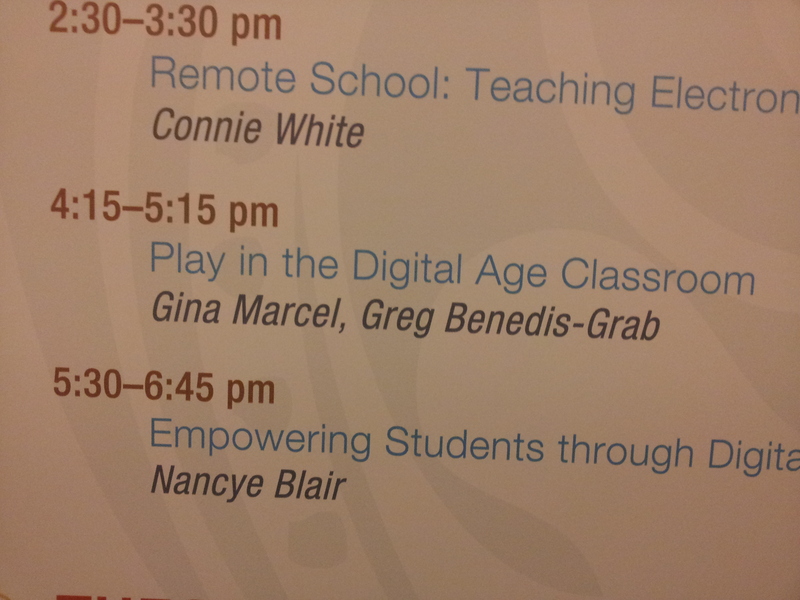 All the presenters, instructors, and panelists were people in my field doing the exact same job that I was doing. I was in awe! Where were the unreachable, mega-superstar, high on a pedestal presenters? Instead, here were people who identified a valuable skill set they had and was sharing it with their colleagues. Plus, since they were just like me, they were approachable and available for further professional development. I learned early on that “The knowledge is in the group.” before anyone coined the terms crowd sourcing or personal learning network. I aspired to develop my craft and share as much information as quickly as I learned it. I work with a great group of people and help them identify that special skill that they have that others need to know about. In February, Teaching with Technology Conference at Lycée Français will feature teachers from all over NYC sharing one best practice for incorporating technology into their curriculum. As for myself, I do conferences and workshops as often as possible. Also, this site serves as a way to share my knowledge with as many people as possible (although I wish people would comment so they could share too). Right now, I feel most grounded as an iPad integration specialist. But I want to become a MAKER! The good new is that all my friends will teach me.